Last April, during the inauguration ceremony of a park named after Ezekias Papaioannou* in the city of Limassol, the Progressive Party of the Working People (AKEL) honored the memory of the Cypriot communist leader. AKEL's General Secretary Andros Kyprianou praised the role of Papaioannou in Cypriot politics and made some references to the late leader's life and political activity. "In 1988 I accompanied him to London, in his last public appearance. His health was deteriorating. On returning, he summoned the Central Secretariat of the Party, briefed it and announced he decision to stand down. One admires such people. He decided that his time had come. He believedthere was no need to trouble others, neither himself nor the Party and that he wouldpass away. He didn’t talk to anyone. The doctors gathered around. The only time he responded was when comrade Yiorgos Christodoulides told him "Papi, if you hear me open your eyes". He opened his eyes and then passed away. We lost our Party leader. And I was so moved when the crowd was walking with the coffin to the Cemetery. An endless queue of people, a human sea. A comradewas on a scaffold and shouted in a loud voice, "Farewell comrade." Ezekias Papaioannou was born in the village of Kellaki in the district of Limassol on 8th October 1908. This year 110 years will have elapsed since his birth and 30 years since his death. 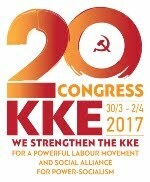 AKEL, honoring his tireless service to Cyprus, the Cypriot people and the Left Movement, will hold a political commemorative event in his memory in October. Ezekias Papaioannou from a young age experienced poverty and social injustice. In his book "Reminisces of My Life" he refers to his childhood that it was very harsh and that“this harsh reality has been engrained on my face throughout my life." Working, he managed to graduate from the American Academy of Larnaca and graduated from the English School of Nicosia with excellence. He dreamed of studying, but he didn’tas he didn’t have enough money. 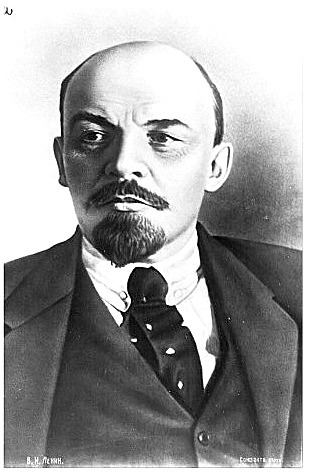 "The working class party was for me the University of my Life, the best University of all and the best of what I ever dreamed of graduating because it is the only university with endless sources of knowledge stemming from the people and especially from the creator, namely the working people,"he wrote some years later. Ezekias Papaioannou worked and struggled tirelessly for a whole life: in the mines of Foukasa, the port of Piraeus, London, within the ranks of the Communist Party of Great Britain and the Cypriot Branches of the Communist Party of London, the Committee on Cypriot Affairs, in the front of the anti-fascist struggle within the International Brigades during the Spanish Civil War, the anti-aircraft defense during the Second World War and at the forefront of all of AKEL’s political and social struggles. In 1949, the historic 6th AKEL Congress, which faced the crisis in the Party leadership, elected him to the post of General Secretary of the Party. "I confess that I have never sought any leadership post in the Party. I have always been and have remainedto datewhen writing these memoriesas a simple soldier of the working class party dedicated to the task of the Party and its historic mission...I had an extremely difficult and complex task to fulfill...we implemented from the very first day the new leadership assumed its duties acollective leadership and work. Weadhered to this strictly throughout the period I was General Secretary. I don’t remember even one specific case of a big or minor problem that the Party's collective leadership did not decide on. 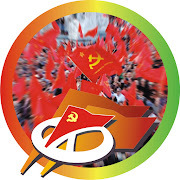 Even in the cases of letters sent by members or non-members of the Party which had to be answered, the Secretariat of the Party decided on the content of the reply. Once when I was asked what is the secret behind the unity of the Party and its leadership I replied, "First, because the Party had a correct line and tactics in the struggle for the solution of the Cyprus problem.Secondly, because the Party took care to function based on the principle of a collective leadership. Thirdly, because the strict organizational principle of democratic centralization was implemented,"he wrote. Principles that all of us who are in AKEL have to respect and adhere to. This is the only way for our Party to move forward. 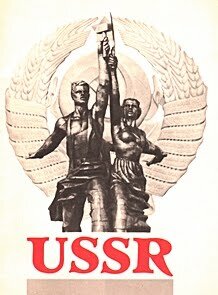 Let us follow the example of the way in which our comrades worked backed then and let us put our collective interest above any personal ambitions. "The greatest ordeal of my life was when EOKA was murderingmilitants of AKEL and the mass organizations of the Left with the smear of "traitor"and when our comradesand supporters wanted to respond to these crimes in the same way. This was a very tough test and ordeal for the whole of the leadership of AKEL. Should it give in to the pressure exerted by Party members and supporters and respond in the same way or should we confine themselves to organizing massmobilizations and protests denouncing these horrific crimes that were being committed? The leadership of AKEL did not give in and consent. It placed over and above all else the interests of our people and country, and it stubbornly refused to lead the developments to a left-wing civil war. I remember one night when some supporters of the Left came to see me where I was staying terribly angry and told me, "If you don’t let us respond to them we'll kill you." I replied, "I prefer you to kill me instead of thousands of mothers and children crying." AKEL responded to the murdersby organizing mass political mobilizations, in which the overwhelming majority of the people denounced in the strongest possible terms the criminal actions of Grivas. AKEL did not permit Cyprus to plunge into the throes ofa civil war. AKEL always opposed ideological obsessions, fanaticism and dogmatism, standing for unity and the need for waging a common struggle between Greek Cypriots and Turkish Cypriots against nationalism and chauvinism, against imperialism. This wasn’t just a political line for the Party leadership - it was and is the be-all and end-all of its political action. In the years before the 1950’s, any co-operation or even an understanding with the Left was considered an act of treason. 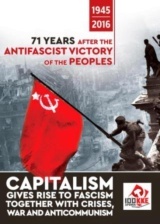 AKEL's proposalfor the waging of a mass, political and anti-colonial struggle instead of an armed struggle was dismissed without any discussionby the Right. With the banning and prohibition of the Party and mass organizations of the Left in 1955 by the British colonialists, Ezekias Papaioannou was arrested and, together with 134 other militants of AKEL and the people’s movement of the Left, was imprisoned. The Party’s activity continued in illegality, with consistency to the same political line. 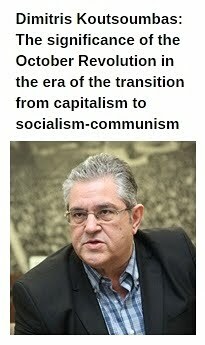 Howevernot even when Grivas himself was admitting in 1958 that the EOKA struggle was in a deadlock, thus vindicating AKEL's assessment, nor even later on, was the Left credited with a sincere interest so that they could some understandingabout the next steps with regards the anti-colonial struggle. On the contrary, tension and anti-communism reached a peak. The reason for this was not just the anti-communism of Grivas. It was, above all, the issue of power. 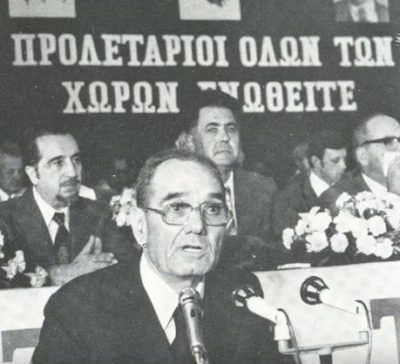 During the period before the coup d’état on 15 July 1974, AKEL warned that the climate cultivated by the Greek Junta and the Greek Cypriot underground armed fascist EOKA B organization was part of the wider plan to overthrow President Makarios and surrender Cyprus to NATO interests. Ezekias Papaioannou from the podium of the 13th Congress of AKEL, in April 1974, warned of the NATO conspiracy. Indeedhewentfromissuing warningsto taking action, proposing to Makarios the establishment of a Popular Militia that would represent the opposing pole to EOKA B, but also to the National Guard which was controlled by the Greek Junta. Within a week, Papaioannou handed Makarios a list of a thousand names that were ready to take action against EOKA B fascism and protect Cyprus. “AKEL always put the interests of the anti-imperialist, anti-occupation and liberation struggle over class interests. 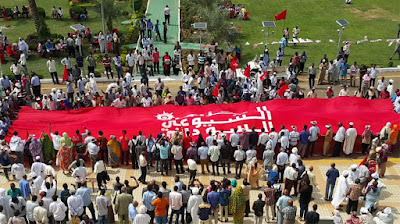 AKEL always stressed that the stage of this anti-imperialist, anti-occupation andliberation is the priority, not because the class struggle ceases to exist during this stage, but because what takes precedence right now is the anti-imperialist, anti-occupation and liberation struggle. When Cyprus becomes truly sovereign, territorially integral, non-aligned and demilitarized, then each political party can put forward its own programmebefore the people and ask for the people’s support to implement it. That is precisely what AKEL will do too". In these few lines, Ezekias Papaioannou summed up AKEL’s line and tactics for Cyprus and the Cypriot people. He served this policy with all his strength as the leader of AKEL. This policy must guide us todayas well. It is useful for all militants and members of AKEL to draw lessons from the way in which our Party has acted over time. It would be particularly useful for those forces and circles criticizing the leadership of our Party with the greatest of ease to study this policy on these issues today. "Ezekias Papaioannou gained the respect of many important people, both inside and outside Cyprus. At the same time he also gained the respect and love of the broad popular strata, despite the fact as he himself notes in his book, with a grievance one might say, that no other political figurehas beenslandered and attacked as much as Papaioannou. Nonetheless, the overwhelming majority of peopleacknowledgeto this day what he has contributed to the country and the working people. This is the strongest proof that figures such as Ezekias Papaioannou cannot be tainted by any mud-slinging and petty-political attacks launched against him. Ezekias Papaioannou gainedthe position he had in the hearts and minds of the people because he was not a man of words, but a man of action; because he was a humble, honest and sincere leader; because he left his markon the Party's life and struggles; because he remained faithful to the ideals of Marxism-Leninism; because he worked consistently, relentlessly and tirelessly for over four decades serving the Party and the country. AKEL Gen. Secretary Andros Kyprianou. This constituted one of the key components of AKEL's successes under his leadership. All of theseattributes at the same time were an example, but also represented the heritage he bequeathed to the leadership that succeeded him, to comrade Demetris Christofias and the other comrades of the Party leadership. The successesrecorded by our Party over the years that followed was the best fulfillment of the political heritage left by Ezekias Papaioannou. "I am a real proletariatas my only property is my library, clothes and footwear. 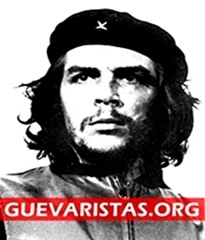 I feel truly proud that I have given to the Party I have loved so much and to which I have dedicated all my life to,everything I have inherited because I have never had my own money or fortune...even Makarios would often say to me "How comes Ezekiasthat you a grandsonof a priestbecame a Communist? The reply I gave to this question was to say that I believe in the truth, I seek the truth and I detest lies. 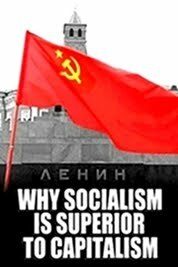 I believe in the truth of life and the laws that govern it...Communistsknow very well that you live just once when they devote their lifefor the noblest universal ideals and know that for them its a hundred times greater sacrifice than anyone who believes in life after death. It is no coincidence that the defenders of Stalingrad went into battle shouting "Long live life!" Ezekias Papaioannou's life stand, struggles and service to AKEL, the People's Movement of the Left, the common people, to Cyprus and the world aren’t just a precious legacy on the shoulders of the futuremilitants of AKEL. It is the example that reminds us forever that we have a duty to continue on this same path, with the same modesty, humility, simplicity,selflessness and WITH the same conviction." * Ezekias Papaioannou (8 October 1908- 10 April 1988) was a Greek Cypriot communist, General Secretary of AKEL from 1949 to 1988.